How Do I Know What Refill I Need For My Quo Vadis or Exacompta Planner? 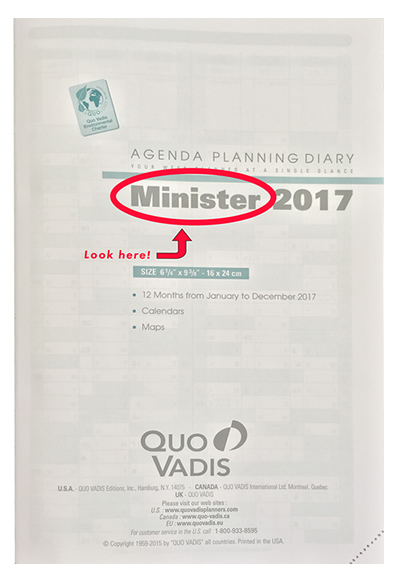 How to find the name of the Quo Vadis planner refill that you need. It’s Autumn again and time to start thinking about buying a brand new paper planner for the upcoming year. If you’ve got a Quo Vadis or Exacompta agenda planning diary with a refillable cover, all you need to get is a paper refill. 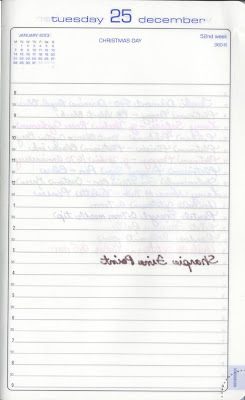 The trouble is, it’s been a whole year and you can’t remember the name of the planner that you bought last year. There’s an easy solution to this problem. 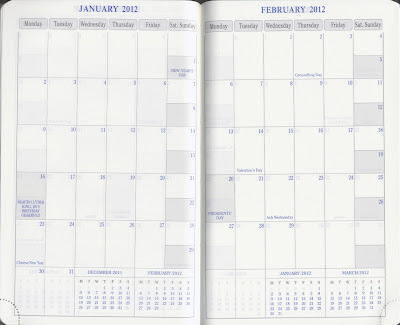 Open the front cover of your current planner and look at the first printed page on the right. 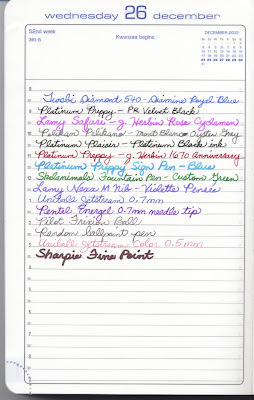 The name of the planner refill you need is located to the left of the year. In the example above, the name of the refill is the “Minister.” Problem solved! 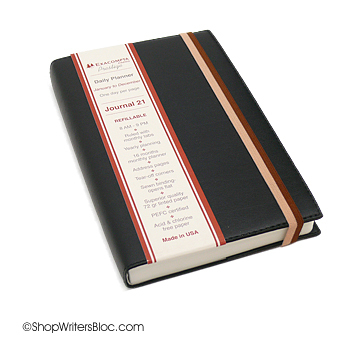 Journal 21 by Exacompta Paris is a refillable daily planner made with delightfully smooth Clairefontaine paper. The format of Journal 21 is ideal for both advance planning or as a diary recording each day’s thoughts one day at a time. Each day has twenty-seven 6mm narrow ruled lines with time increments listed on the far left. The Clairefontaine paper inside Journal 21 is 72g and it is tinted a very soft green color with blue and grey/black print. Journal 21 measures about 5 1/4” x 8 1/4” – similar in size to the large Rhodia Webnotebook but it’s thicker and a the pages are about 1/4” less wide. It has a stitched binding to keep it from falling apart and to help it to open flat. The bottom corner of each page is perforated and can be torn off after each day is completed so that you can easily find your place. If you buy Journal 21 with a Club or Soho cover an elastic Quo Vadis bookmark can be purchased as an accessory that comes in handy to mark your place and keep your planner securely closed. 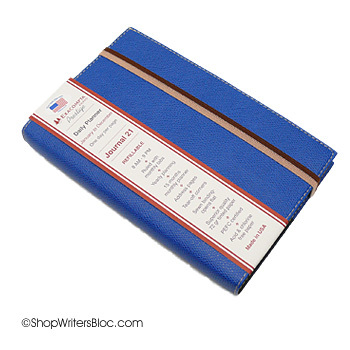 An additional feature to help you navigate this planner is that the names of the months are printed in blue boxes that are visible on the page edges and they are staggered from top to bottom like tabs would be. Journal 21 comes with a few different durable and refillable cover options. Current cover options can be viewed at Writer’s Bloc. There is the stitched, grained leatherette Club cover that comes in several different colors. The Soya cover – now replaced by the Soho cover – has different color choices and it is also saddle stitched, but this leather-like material has a smooth finish. There is a Texas vinyl cover that comes in several colors and it has a soft faux-suede finish. Of course, you can always make your own cover or just use the Journal 21 refill as it is with its plain, white cardboard cover. Journal 21 begins with a title page followed by a page that records useful personal information including emergency contact info and where the planner can be returned to if it happens to get lost. There is a list of dates for US holidays during the current planner year and the following year, as well as major world holidays of the current year (covers 11 countries: Canada, China, France, Germany, Great Britain, Italy, Japan, Mexico, Netherlands, Spain and Switzerland). There’s a page with a whole bunch of international telephone access codes and another page showing a map of the US with time zones. 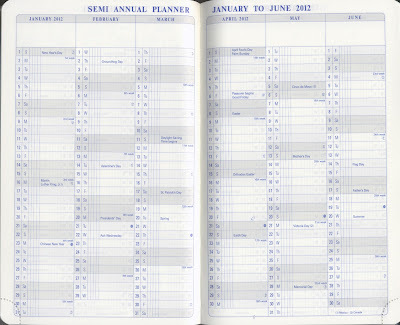 Following all of that there is a semi-annual planner that spans 6 pages and covers a year and a half of plans – for the 2012 planner it includes July 2011 through December 2012. 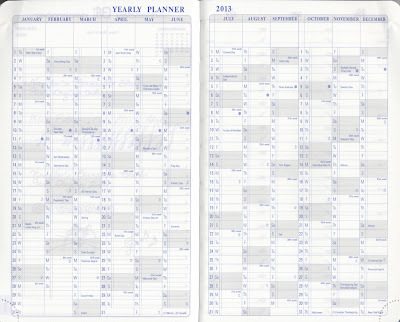 Next comes a monthly plan that covers 16 months – for 2012 it covers November 2011 all the way through February of 2013. Each month shows the previous month and following month on the bottom of the page. Saturdays and Sundays are combined into one column on the right to save space. The daily calendar has one day per page and covers 8am to 9pm plans broken down into half hour increments. 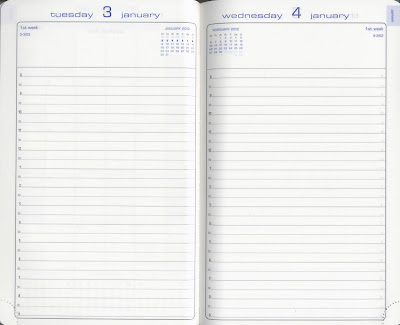 The page on the left shows the current month with the current week in a bold font, and the right page displays the following month. Each day also shows which day number it is out of 365, and which week number of the year it is. The very top of the page lists the current date and day of the week. The back of Journal 21 includes a yearly planner for the following year, in this case it is for 2013. Lastly, there is a fourteen page alphabetical address, phone number and email section. 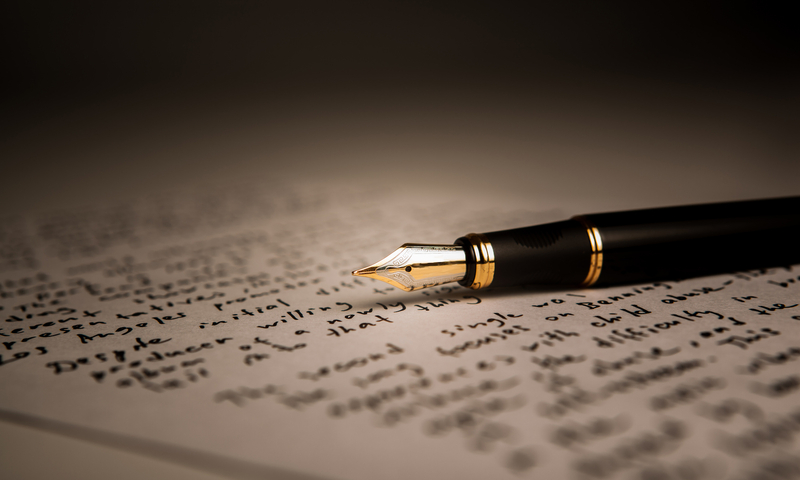 Journal 21 has a lot of great features to help you plan a successful year. Do you use Exacompta Journal 21? What’s your favorite daily planner? What is an Academic Planner? “Academic Planner” is not just a sophisticated name for a fancy yearly planner. Academic Planners are made for teachers, professors, students and others who would like to make their plans according to the school year instead of the calendar year. 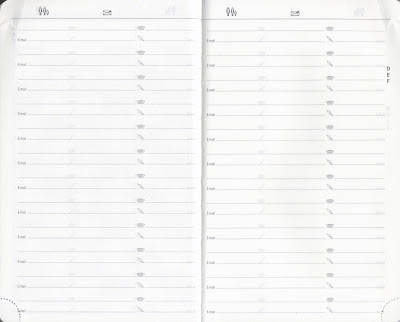 Many of these planners begin with the month of July or August and end with the month of July in the following year. Quo Vadis makes a variety of quality planners for this purpose including the Academic Minister weekly planner, University pocket-size date book, Scholar weekly planner, Monthly 4 18-month calendar and the popular Textagenda daily planner. 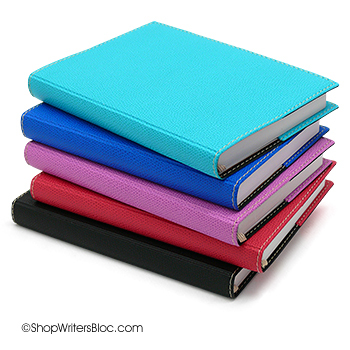 All of these planners are available in a variety of colors and covers. Undated planners can also be used for planning during a school year since they don’t confine you to beginning your plans in any particular month or year. These “freestyle” planners are great if you happen to lose your planner in the middle of the year and need another one to replace it. Some of our favorite undated planners are made by Bob’s Your Uncle, such as the 8-Days-A-Week planner journal and the 8-Days-A-Week Mini planner journal. What’s your favorite school year planner?